Can you see yourself – your passions, everyday experiences, artistic or political expressions – reflected and celebrated in your local archives, museums or libraries? If not, why? – What radical collecting actually is? – Your role in making history & evening the balance in how our shared history is remembered. Community-led campaigns to create an archive of active social and political movements are taking place across the world: from the Occupy movement, Radical publishers, LGBT to Trade Union, and Black-led cultural movements. We’ll continue to draw inspiration from these movements, along with pioneers like C.L.R James, in how we can create crucial counter-narratives. Join us for a collective exploration of what we can all do to capture stories and memories that reverberate into the future. Hackney Archives is keen to continue beyond the AntiUniversity Festival to offer a hub for community archives advice and to support an informal network of Radical Activist-Archivists, “where archives and social justice meets”. 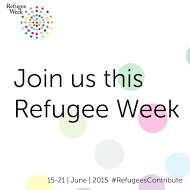 (Archivist at the University of East London, responsible for the Refugee Council Archive). (Post-doc Researcher, affiliated with the Centre for Migration, Refugees and Belonging (CMRB) at the University of East London. Terms of Reference for the IASFM Working Group Forced Migration Archives, Documentation and History. The purpose of this Working Group will be to serve as a focal point for members of the IASFM interested and/or working in within the fields of forced migration archives e.g. documentation, preservation and researching the history of forced migration. The proposed Working Group seeks to document and preserve original history of forced migration at both national and international levels. We would like to generate new partnerships and networking opportunities for developing forced migration archives and for helping with the creation of knowledge on, and the collection, documentation and preservation of forced migration history. We recognise that there is a need to work on how knowledge in the field of forced migration is created/ produced and maintained. Our aim for this Working Group, therefore, will be to bring together researcher, academics, librarians, archivists, activists, advocates (i.e.NGOs) who are either interested in the history of forced migration and related fields, or are interested in the care and preservation of the archival and library collections that help to preserve the often hidden voices of the migration journey. With a focus on networking on history of forced migration, we will also address the growing critique of the divide between experts and forced migrants themselves. We would like to take steps to ensure that the documentation of testimonies associated with the migration journey are actively preserved. The Working Group is, however, devoted to develop a cross-spectrum approach to the management and preservation of important archival, library and related collections of materials. We also have a strong commitment to the use of oral history to help fill in the gaps which often exist within the more traditional archival collection. In this age of financial austerity, we are fully aware of the dangers posed to efforts that help to preserve the historical legacy of often marginalised group. 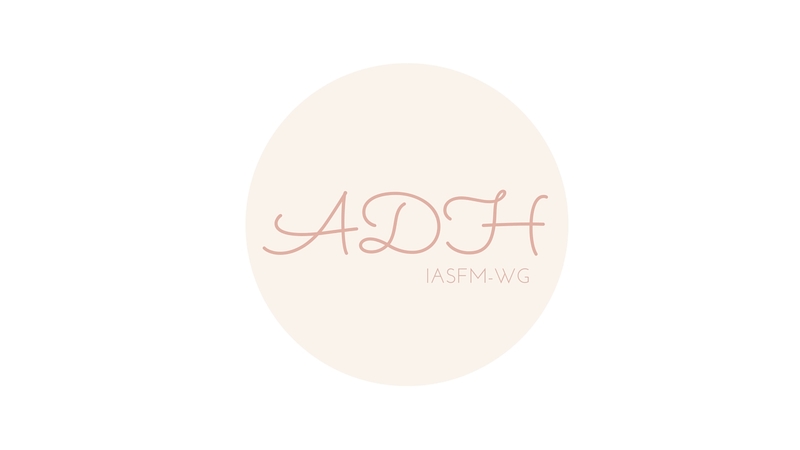 The proposed activities of the Working Group include organizing one panel on a topic related to archiving and documenting the history of forced migration at the IASFM conference 2016. 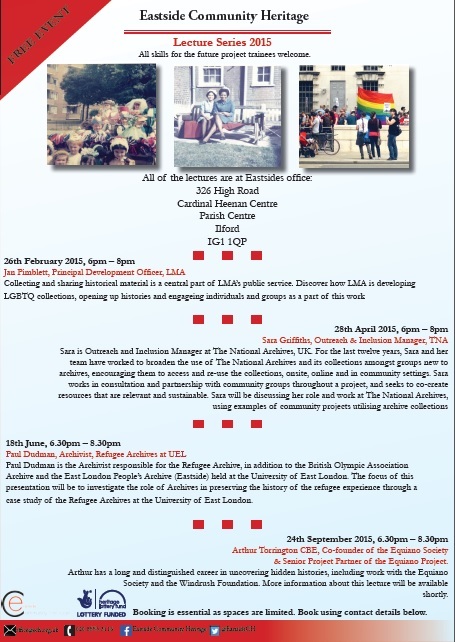 The members of the Working Group will share information on archive and history related research findings on forced migration and refugee experience in the UK and elsewhere; assist members with access to published and unpublished material; actively encourage networking and promote collaborations and partnerships; share details on funding and develop jointly implemented funded activities; present conference papers, carry out combined publications in 2016 on, build capacity of the group; maintain a public facing portal providing research based information to interested outsiders; and provide feedback to each other concerning working papers and work in progress. The coordinators for the group will maintain records of the activities as they take place. Raising awareness and promotion of the value, relevance and importance of `refugee archives’ for education, research, history, heritage and community engagement. 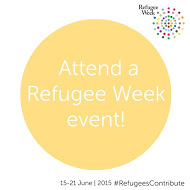 Enhancing collective knowledge of existing `refugee archives’ through the media, the internet and Social Media. Encouraging the creation of new `refugee archives’ where they have not previously existed, either in physical or digital media. Especially in relation to community archives, oral histories and life narratives. Enhancing networking opportunities for the exchange of information between archivists, librarians, researchers, practitioners, NGO’s, “refugees” and members of the public, including opportunities for virtual and physical networking. Collaboration with other national and international bodies as required, e.g. UNHCR, IOM, and other global human rights organisations in the field of forced migration. Letters and papers revealing in detail how human beings were priced for sale during the 18th century Transatlantic Slave Trade have been made available to researchers and the public. 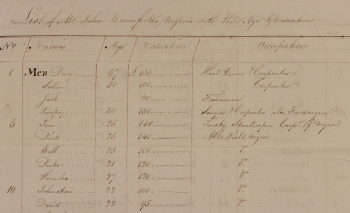 A list detailing the names, ages and prices of people sold into slavery, 1796.
a distressing reminder of the powerful business interests that sustained one of the darkest chapters in British history, are to be made available to researchers and the public by St John’s College Library. The collection contains the business exchanges of an 18th century English landowner, William Philip Perrin, who ran a sugar plantation near Kingston, Jamaica. In it, Perrin and his correspondents discussed in callously practical terms the human cargo that was being shipped to the West Indies at the height of the Transatlantic Slave Trade, a time when the equivalent of millions of pounds were changing hands as slaves were bought and sold. Under the auspices of the UEL Library and Learning Service, a bid was submitted by Paul Dudman and Dr. Rumana Hashem, which focuses on the Refugee Council Archives at UEL. Entitled, “Democratic Access or Privileged Exclusion? Civic Engagement through the Preservation and Access to Refugee Archives,” this project seeks to use existing Archives held within the UEL Library as a basis to forge new partnerships between students, academics, archivists and a community groups. b) Student engagement through: (1) The contribution of oral histories and archival materials; (2) To help engage with local communities with Archive-led activities and to help the local community/refugee groups understand how the Archives which UEL holds can be relevant to their own community; (3) To participate at the launch event at the end of the project workshop, and to ensure the participation of a considerable group of community representatives in the workshop; (4) To help and assist with new archives where appropriate. d) Creation of Refugee Archives and History Group to help facilitate continued discussions and civic engagement activities, and to help encourage interaction between archivist, historians, NGO’s and the communities themselves as to how the refugee experience can be preserved and documented. At this early stage of the project we are undertaking consultation meetings with members of academic staff at UEL and with our external partners in order to ascertain potential interest and involvement in relation to this project. 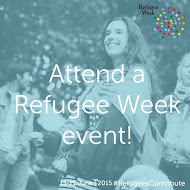 Any UEL academic is very much welcome to get involved in this project and help us to build living refugee archives. The project coordinators are interested in meeting with any academic and research centre to discuss this project. Should you have any thoughts or feedback please do get in touch with Paul Dudman ((p.v.dudman@uel.ac.uk), the Archivist responsible for the Refugee Council Archives at UEL, and Dr. Rumana Hashem (r.hashem@uel.ac.uk), a post-doctoral researcher at the Centre for Migration, Refugees and Belonging (CMRB) at UEL.